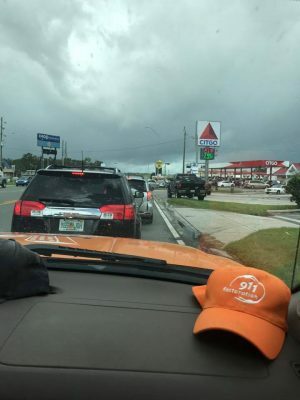 With heavy tropical storms raging through Central Florida, residents in Northern Florida and Pensacola are receiving some residual rain showers over the next few days and through the weekend. 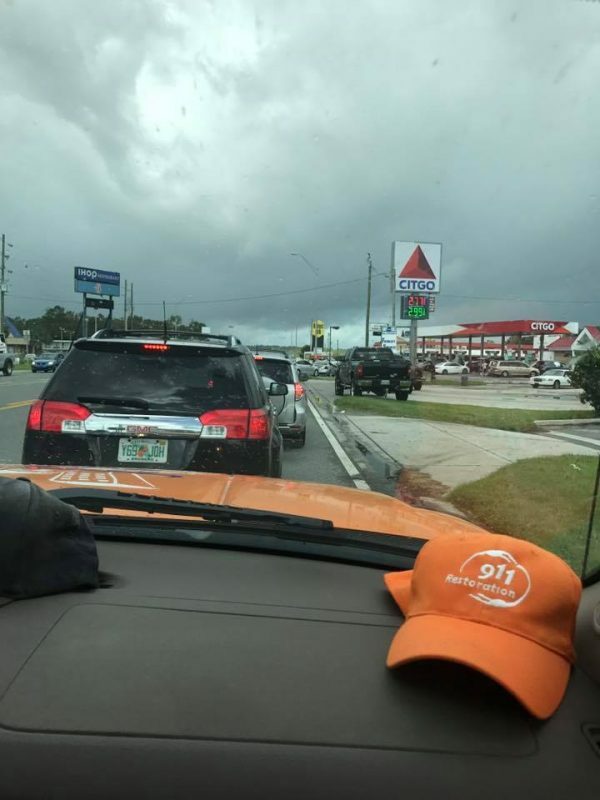 But as many Floridians understand, the weather can quickly change and be much more serious and dangerous than originally predicted — leaving you stormy weather with heavy showers and chances of flash flooding, gusty winds reaching over 40 mph, and lightening strike. Storms may occur as a single event or appear in clusters or lines. The most severe storms often occur when one thunderstorm is located in one place for a long time. Thunderstorms typically only produce very heavy rain for a short period, lasting from 30 minutes to an hour. Florida’s warm, humid conditions are the perfect combination for frequent thunderstorms. Only about 10 percent of thunderstorms are considered severe. These storms must have winds reaching at least 58 mph, produce sizable hail, or create a tornado. Make sure your emergency kit is up-to-date and has fresh water and batteries, medications, first aid supplies, and a flashlight. Communicate with family members and establish a plan including a meet up area in the event you’re separated. Secure outdoor furniture and items that could blow away or become damaged or move them inside. Close the shutters on windows and make sure doors are securely closed. If you don’t have shutters that close, then shut any blinds, curtains, or other window treatments. Unplug electronics and appliances before the storm so they don’t become damaged. Lightening’s unpredictability poses a higher risk to property and individuals. Lightening often strikes outside of rainfall and can happen up to 10 miles away from the perceived storm. Most lightening-related deaths and injuries occur when people are outdoors in the summer during the afternoon and evening. Your chances of being hit by lightening are 1 in 600,000, but can be reduced with proper safety precautions. A common myth is that lightening struck victims still carry an electrical charge, however they do not and should be administered medical assistance immediately. As you notice a storm approaching, seek indoor shelter immediately. If you’re outdoors, then avoid standing in an open space and try to move into a structure. Avoid any windows, plumbing fixtures, and electrical items. After the storm has cleared, wait at least 30 minutes before going back outside as lightening can still strike after the rainfall has stopped. For any water damage or disasters your home experiences, trust the industry experts at 911 Restoration of Pensacola. Our technicians are available for water and disaster restoration services 24-hours per day, 7 days a week and can be dispatched to your home within 45 minutes of your request. Learn more about our services today by calling 850-316-4562.